Let special people know that they are in your heart this season with a glass ornament that has a traditional look and feel. The drop of morning dew holiday pinecone for grandparents Christmas ornament will bring back fond memories, and it's crafted with quality that will last for generations to come. These family ornaments personalized in the details feature a drop-shaped bell covering a pine cone to create a cozy feel to any holiday display. 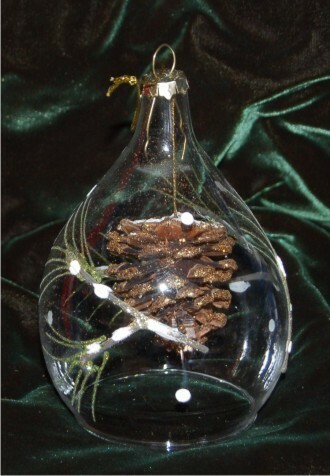 Share the joy of the holidays with the glass bell and pinecone grandparents ornament as you celebrate with all the generations in your family.